I ride with a helmet, lights, reflectors and a mirror; but the more I think about it, confidence is a safety tool, many forget, that really keeps me safe. Confidence allows a rider to safely use roadways to connect to trail systems running through parks. For years, I accepted the conventional wisdom that riding a bike was inherently dangerous. I figured that sitting on my ever growing backside on a bus was probably worse than the considerable risk of getting run over and chalked up my continued safety to a run of good luck. After tens of thousands of miles without even having a close call with a motor vehicle, I’m no longer buying the assumption that getting hit by a car is an eventual certainty. There are many tools in my safety tool kit and today I’ll write about the single most important one: confidence. Confidence and a good paved shoulder makes it easy to ride in traffic. Perhaps the most important technique for having and demonstrating confidence is knowing how to clearly communicate with other road users. This means being predictable and clearly communicating your intentions by signaling turns; using your voice, bell, or horn to let others know you are there; and making eye contact. Uncertainty is dangerous and if you make others guess what you are planning to do, they will sometimes guess wrong. You have the responsibility to make your intentions clear. Confidence is saying to yourself, “I wonder how well I can stop” and if in question get it fixed! When your brakes are no longer up to snuff or your chain is stretched out and falls off at random moments, you will not have the confidence to ride in traffic or take your turn at a four way stop. Don’t ride with lights that have half dead batteries or with out reflectors (you need to know you can be seen). Don’t ride with gear shifters that are out of tune (you don’t want gears to shift by themselves when you need power). Don’t ride with brake pads so worn that you can pull the lever all the way to your handlebars (you want to be able to stop). If any piece of equipment makes you say to yourself, “I wonder how well I can (fill in the blank)” stop. Get it fixed! 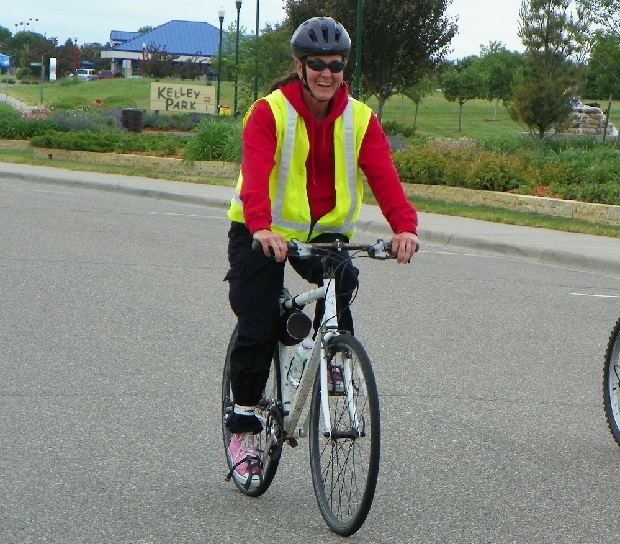 Confidence is knowing the rules and making your intentions known to cyclists, motor vehicles or pedestrians around you. 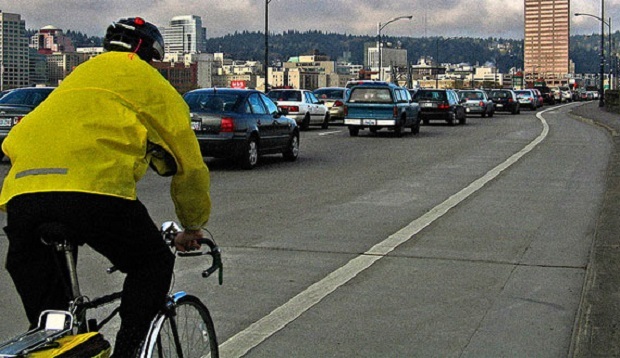 You may be reluctant to take the lane to avoid parked cars, debris, or ice on the shoulder if you don’t know that you have a right to ride in traffic. “Do I have to stop for a school bus?” and “who has the right of way at this intersection?” are great questions, but the time to think about them is not when the school bus stops in front of you. 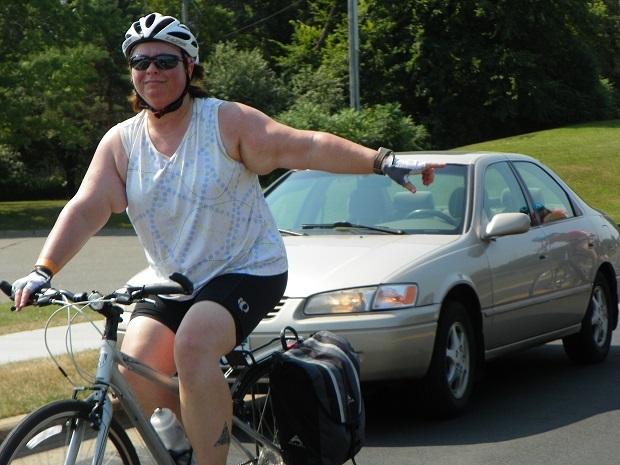 Check out the League of American Bicyclists for information on riding right. 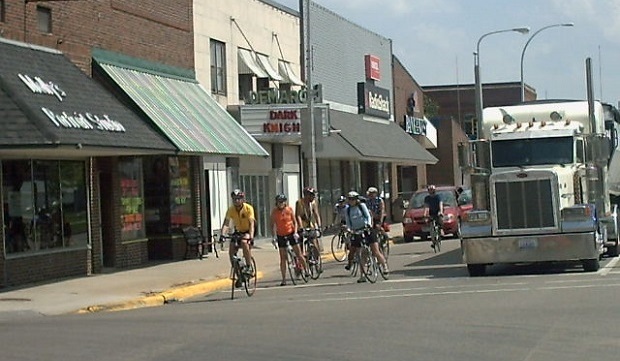 Bicyclists are not second class citizens and the bicycles they ride are not “alternative” transportation. As a bicycle rider, you have both a legal and moral right to use the road. (Don’t you believe it when people say roads are paid for by gas taxes, most road construction and maintenance is paid for by general funds.) Don’t be conceited or arrogant, but define and claim your space, whether it is in a lane of traffic or on the shoulder. Confidence is passing by the bus and preventing an ever growing backside. 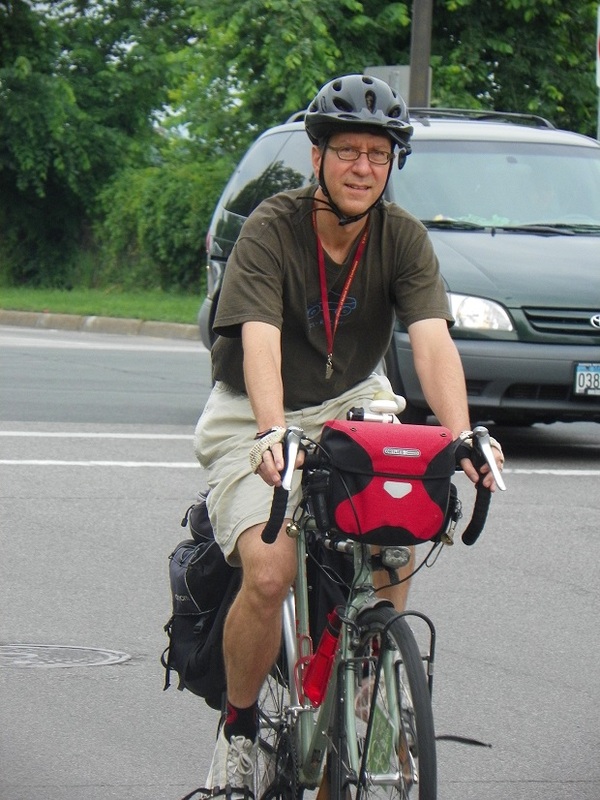 This entry was posted in News and tagged bike safety, bike with confidence, confidence on February 26, 2015 by Russ Lowthian.